I am feeling so lucky this month that my little upcycled plates have featured in a few lovely kiwi mags. There is something so exciting about seeing my work in print! Each time I've hurried out to the bookshop as soon as I have heard, thumbed through the mag trying to find it and then rushed up to buy them grinning like a crazy woman. The lovely old lady at our local is probably thinking I'm a bit nuts by now! The first two features, I owe a big thanks to Toggle for hooking me up. 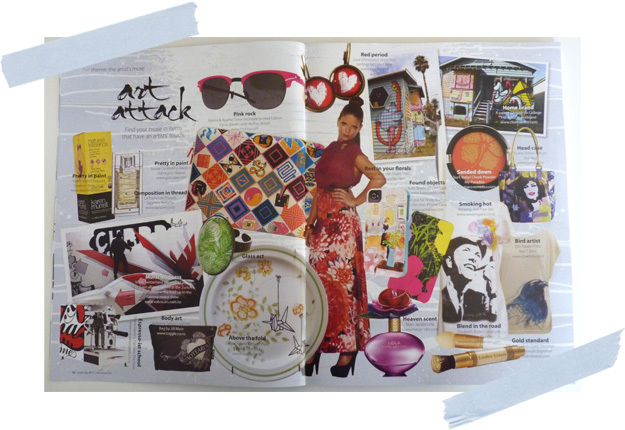 Toggle is a fantastic online design store featuring some of the best of New Zealand Artists, Designers and Crafters... go on have a look! 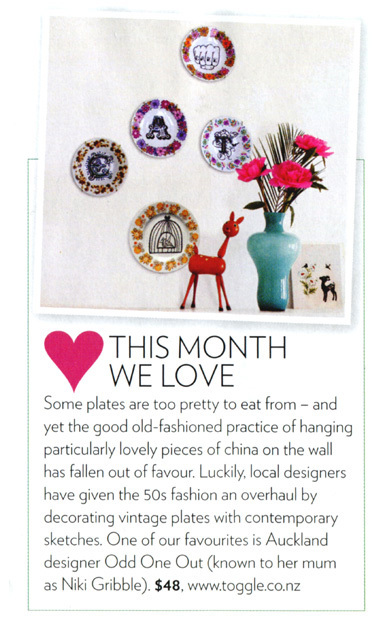 Below is a page from the June/July issue of 'Her' magazine featuring my 'Origami Birds' plate. The last magazine is the July issue of Your Home & Garden. I can't believe I actually saw 'Mr Stag' in there as he is so tiny - but he jumped out of the page at me as soon as I turned it! 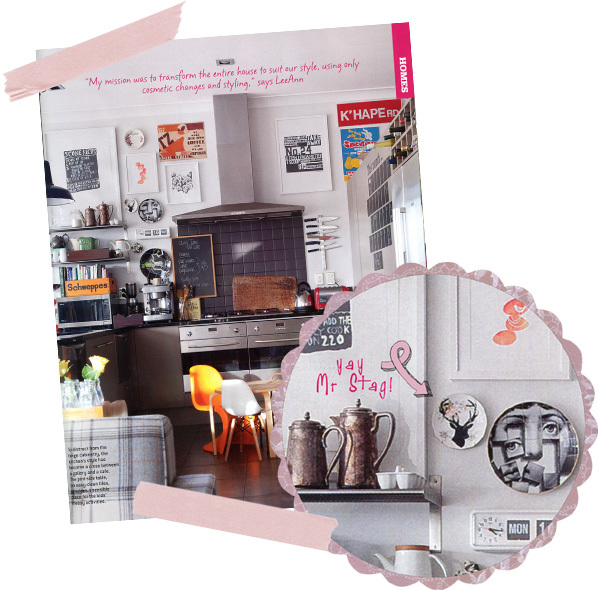 He looks so cool on the kitchen wall of stylist LeeAnn Yares absolutely stunning house. Yay Mr Stag & thanks LeeAnn for giving him such a cool new home!